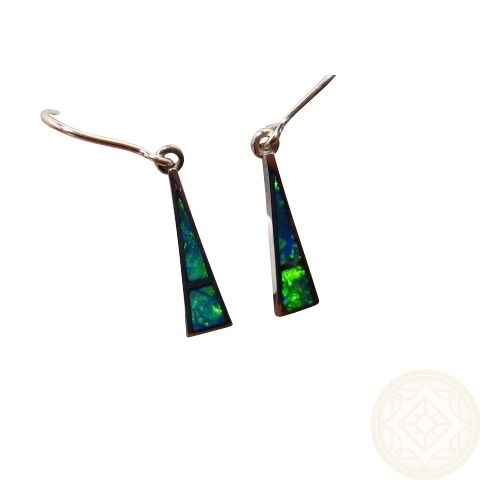 Silver Opal earrings with very bright Green and Blue Opals inlaid in 925 Sterling Silver dangling triangles. 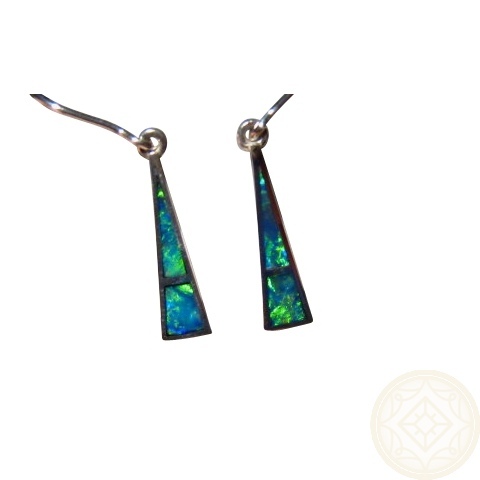 These dangler triangle earrings are inlaid in two sections with Lightning Ridge Opals that are bright and lively. 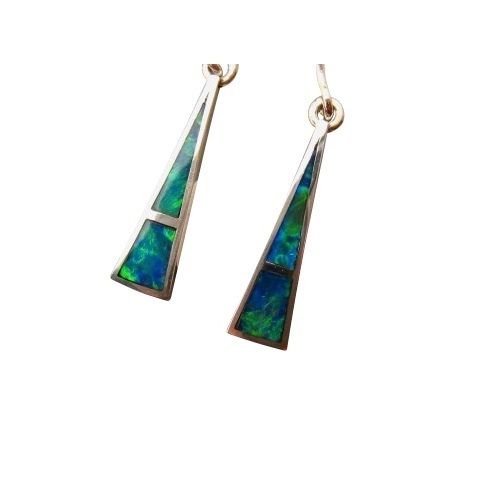 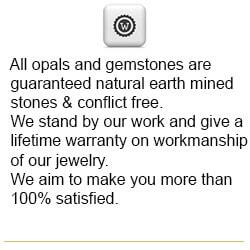 The earrings measure almost one inch long and the colors in the Opal stand out against the Silver so these earrings will be noticed and complimented on when worn. 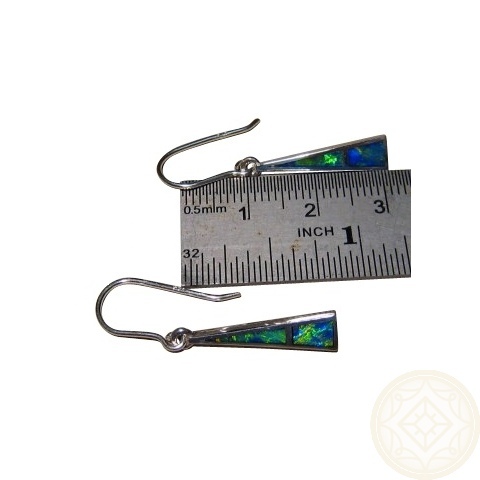 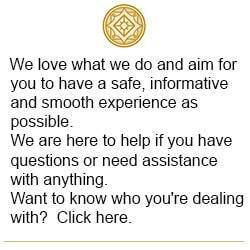 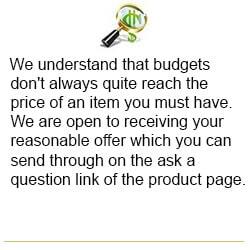 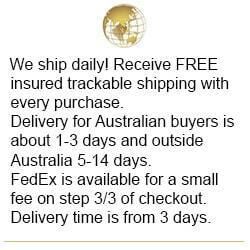 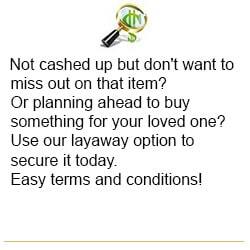 The images are of a pair that have been sold however you can have similar earrings Made to Order which will take about 7 days to make before images are provided for your approval to ship.